We've got all sorts of flower printables at Activity Village, and we are growing this section actively too. You'll find all sorts below, such as flower jigsaws, flower lacing cards, flower alphabets and flower posters. Here are some fab and groovy 1970's inspired flower papers that will add some retro style to your Dolls house! We have three designs to download below: one with a bright purple background, and two funky brown designs with different sizes of flower pattern. There is something missing in this garden scene - and that's the flowers! We've provided the stalks and now the kids need to draw on the flowers, and the colour the whole picture in. 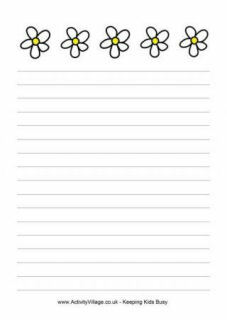 Cheer someone up with a little letter written on this lovely spring flowers writing paper design, choosing from three versions below. Daisies are one of the prettiest summer flowers - and many of us will remember sitting on the grass in the summer months, carefully making daisy chains and pulling the petals off while chanting "he loves me, he loves me not". These pretty daisy letters are useful for all sorts of activities, especially in the spring and summer. We also have lower case letters and numbers available. Print out our daisy alphabet and use it for spelling activities, making names on doors, notice board displays, etc. You could even make a circlet for your little girl's head spelling her name... We also have lower case letters and numbers available. Print and cut out these daisy numbers to make counting fun! You could use them in your games or displays, particularly in the spring or summer. We have alphabets to match, too. Kids can add a daisy to our stem with playdough. Will it be a traditional white daisy with a yellow centre, or something a little unusual? 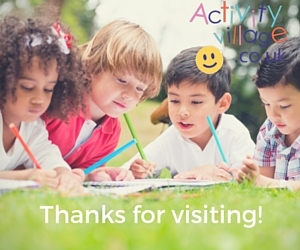 Here's a great cut and stick activity where children get to create and decorate their own garden! This is the "garden" part. We have another page of flowers for you to cut out and stick on in your own design. These are the flowers that go with our Decorate the Garden page! This is a great cut and stick activity which will keep kids busy if you can't get outside into the real garden. There is a black and white version too. When you look at a field of dandelions, you can either see a hundred weeds or a thousand wishes. This lovely poster reminds us that there are two ways to look at every situation! Our bright and colourful floral bunting has rather a retro 70's feel to it. Print on to paper or card and fold the flap over a length of ribbon or string to hang. Printing 2 to a page and with 8 different designs, this floral bunting will help you create a bright, eyecatching display. Print these gorgeous flower game cards onto some card, laminate if you prefer, then use for all kinds of fun games like snap or memory. Here's a pretty flower lacing card that children will enjoy. For younger children, print onto card and cut out, then punch holes around the edges to be laced with a shoelace or wool threaded onto a blunt needle. Our second flower lacing card is perfect for beginners, with a nice simple outline. Older kids could embellish the details of the flower with extra stitches. Here's a fun flower lacing card for more dexterous kids. Turning the corners on those petals will require a little bit of skill! Simply print and cut out these pretty flowers, then sort them by size. If you laminate them, you can repeat the activity again and again. Of course you could also count the petals and sort by the number of petals, too. Children can use their playdough to make a garden full of flowers using this fun playdough mat as a prompt. Perfect for spring or summer. Featuring the word 'grow', this postcard would be perfect to send to a grandparent or a gardening friend! Print on to card, cut along the dark line, fold in half and glue the sides together to make a postcard sure to be treasured. This photographic poster illustrates the quote “From a small seed a mighty trunk may grow.” by Aeschylus. Use it to illustrate how small acts can make a big difference, and to encourage children to think about how they might be "seeds of change". This scrapbook paper features pretty blue hibiscus flowers and would look lovely as wallpaper for a dolls house, or cut up to use as tags or cards. We've got two versions available, with small or large flowers. The poinsettia is a red and green plant from Central America, now used in Christmas floral displays all over the world. The shape of the plant is sometimes likened to the star of Bethlehem which led the wise men to Jesus. Did you know that the colourful flowers on a poinsettia are actually a type of leaf? You can see their bright red colour on this printable poster, perfect for Christmas displays or a flower topic. Perhaps your children will make a red rose for Valentine's Day? Alternatively, choose any colour they like to add a rose to the stem; roses come in such beautifully different colours and patterns. Here's our simple rose illustration in poster format. Print it out for display or perhaps as an extra large card, or the front cover of a project. Did you know that it used to be traditional to wear a red rose on your lapel or in your buttonhole for St George's Day? Roses are the flower of summer in the UK, so we thought we should include a rose poster in our collection. This is a pretty photographic poster that might come in useful for summer displays. Snowdrops start to appear in early Spring. Why not stick up this pretty poster as part of a display for the season? Lovely flowers in pretty pastel spring colours line the top of this pretty writing paper, which is sure to be popular! These gorgeous sunflowers are relatively simple to cut out and look superb on display, "planted" in a line. The pdf file includes the complete alphabet in lower case letters. Available in both colour and black and white, we thought these "badges" might come in useful for a party - or some sort of crafty project! These sunflower frames would make a lovely classroom display. Write a sunflower or summer themed poem neatly on the centre, colour in the frame and cut out to pin up. This lovely sunflower lacing card is perfect for a late summer lacing project, and so much fun to do. Lace around the edges with yellow wool and then sew some textural "seeds" on the brown with running stitch. Our sunflower life cycle vocabulary matching cards can be cut out individually and used for matching games or folded to make two-sided cards to test vocabulary. Print our sunflower life cycle sequencing cards (and arrows) onto some strong white paper or card, then cut out and arrange in the correct order to make your own life cycle diagram. You can laminate the cards and arrows for extra durability too (choose from blank or labelled versions below). This printable set of sunflower life cycle word cards contains 10 words or phrases all associated with the sunflower life cycle process. Perfect for labelling diagrams and for vocabulary work. When your children make the sunflower to top the stem on this sunflower playdough mat encourage them to think about the texture of the flower and see if they can represent it in playdough. They could even embelish with sunflower seeds. 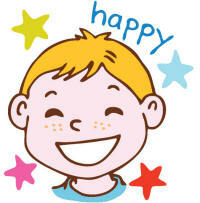 This lovely, simple poster will cheer up any classroom, playroom or bedroom! It has a nice simple outline for cutting out projects, too. This sunflower template, complete with stem and leaves, can be used in all sorts of craft projects with the kids, including simple collage and sewing projects. You can cut out the central circle to make a photo frame, too. Here's our pretty sunflower head - no stem or leaves - for you to trace or use as a template for cutting out crafts. This thistle playdough mat needs you to add a purple flower to the stem. It's a fun activity to celebrate Scotland. Here's a pretty poster of a thistle, ready to print and display or use as a cover for a project, perhaps. The thistle has been used as a royal symbol of Scotland since the rule of James III in 1470 and is the oldest recorded 'National Flower'. Print this lovely poster of a thistle using the borderless settings on your printer for the best results. Use this thistle template for our thistle crafts - or with your own ideas. One simple idea to use the template: children could colour in the leaves and then scrunch up tissue paper to make the stem and flower. A great addition to a Spring display, what's not to love about this lovely tulip poster?! This lovely tulip template includes the tulip's stem and a little pot too - and it looks absolutely gorgeous cut from a selection of different bright plain and patterned paper and lined up in a row - perhaps along the bottom of a noticeboard or on a windowsill! This tulip template design is perfect for younger children as the shapes are simple to cut out and stick together. We have two sizes - one per page and two per page. Use this pretty tulip writing frame for Spring writing projects and get the kids to colour in the stem and leaves when they are done. You can also use the blank version as a template for your crafty projects, displays etc. Top this little vase with a bunch of beautiful playdough flowers! Children could roll the playdough out and use flower-shaped cutters, or just "do their own thing". I would be very happy to have a full-size version of this beautiful waterlilies paper in my bedroom! Print this lovely paper and use to decorate a room in a dolls house, or even as wrapping paper? This beautiful card is suitable for any general occasion - to say thank you, to say hello, to wish someone happy birthday etc. It features a quote that reminds us how lucky we are. "With freedom, books, flowers and the moon, who could not be happy?" So said Oscar Wilde, and we love the quote so much that we turned it into this pretty poster.